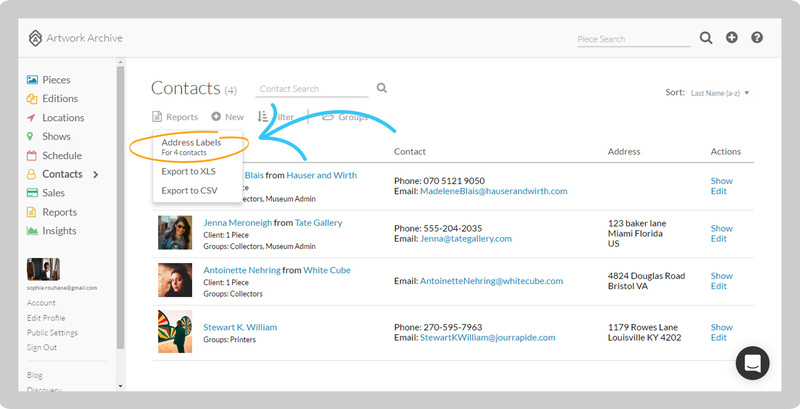 Click on Contacts in the left-side menu. Click the gray Reports button and select Address Labels. Select which size of Address Label you want to print, Avery 5160 (US Letter Size) or Avery 7160 (A4 Letter Size) and click Download Label. A PDF will download to your computer.